On April 19th Kelly Slater launched his new foundation with an evening event featuring an acoustic performance by Eddie Vedder. 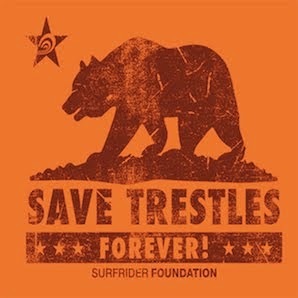 They raised over $350,000 dollars to benefit several environmental groups, including the Save Trestles Campaign. Read the full story at Surfline and check out the highlight reel below.. I'm glad the possible toll road is causing a rift with the people in Southern California. We need celebrity interference in order to gain some positive notoriety, and what is better than the Slater-Vedder alliance? I really am unable to get the idea behind why people are actually happy if it is causing dispute among the people of Cali. Anyway, thanks for posting! Download Cartoon HD App and download amazing content for free. If we truly love our mother nature, then we should immediately start planting trees and we should aim to reduce carbon footprints. We need sustainable development. Cartoon HD World is determined to make this planet more green and more healthy for all species across all biosphere.